Thus began a decades-long relationship between Hubble and NASA’s New Horizons mission: A legendary space-based telescope and a pioneering space probe hurtling through space at about 32,000 miles (51,500 kilometers) per hour. In 1990, Hubble produced the first image that illuminated Pluto and its large moon Charon. After Hubble’s optical repair in 1993, scientists captured even sharper images. New Horizons Principal Investigator Alan Stern of the Southwest Research Institute in Boulder, Colorado, led the imaging projects while co-investigator Marc Buie, now at SwRI Boulder but then at Lowell Observatory where Pluto was discovered, led the data analysis. Those crude but valuable maps provided the best evidence that Pluto was not simply a homogenous ball of ices, but has a complex, variegated surface — a promising aspect for close-up inspection by a visiting spacecraft. Hubble’s cameras revealed nearly a dozen distinctive bright features, none of which had ever been seen before, including a “ragged” northern polar cap bisected by a dark strip, a puzzling high-contrast bright spot seen rotating with the planet, a cluster of dark spots, and a bright linear marking. That bright spot feature, unusually rich in carbon monoxide frost, became the prime target for New Horizons to examine up close after NASA funded the mission in 2002. Although Charon was discovered in 1978 using ground-based telescopes, Hubble detected all four of Pluto’s other moons: Nix and Hydra in 2005, Kerberos in 2011, and Styx in 2012. These moons were spotted in the Hubble images by New Horizons team members, most notably Project Scientist Hal Weaver of the Johns Hopkins Applied Physics Laboratory in Laurel, Maryland, and co-investigator Mark Showalter of the SETI Institute in Mountain View, California. By the time the latter two moons were discovered, New Horizons was in the final years of its almost decade-long, 3-billion-mile sprint from Earth to Pluto. The discovery of these four small satellites was critical to overall Pluto flyby planning by identifying potential hazards, verifying the optimal spacecraft trajectory, and establishing the need for time to include observations of them as part of the flyby observing sequence. Without Hubble, New Horizons would have discovered these moons only a few months before the encounter — too late to effectively plan for their detailed study. 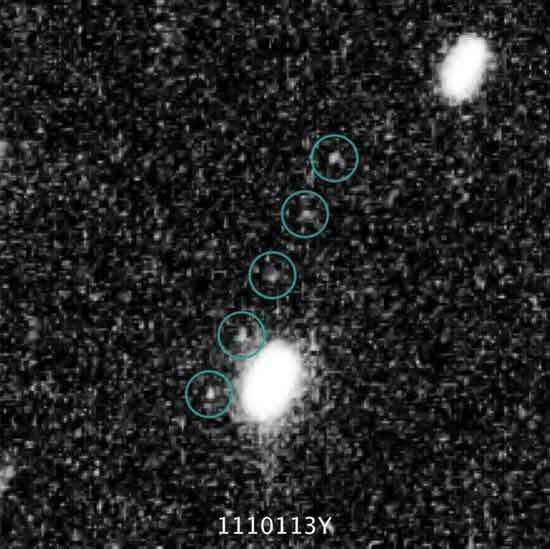 To examine the possibility for an extended mission into the Kuiper Belt, the New Horizons team used Hubble in 2014 to conduct a needle-in-a-haystack search for a suitable Kuiper Belt Object that New Horizons could visit after passing Pluto. 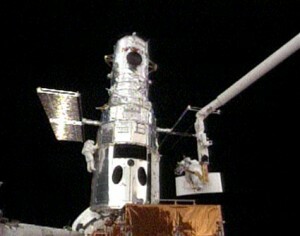 Hubble’s sensitive telescope allowed it to look for fainter KBOs than ground-based telescopes can see. Hubble took deep exposures on 20 areas of the sky and found three suitable KBO targets about one billion miles beyond Pluto. Following NASA approval for a mission extension in 2016, Stern selected 2014 MU69, since nicknamed Ultima Thule, as the target for its January 2019 flyby. In the years since, Hubble has measured the target’s red color and refined its orbit with dozens of additional observations. The New Horizons spacecraft is now on course to fly by Ultima Thule — the farthest object ever explored by humankind — on New Year’s Day, Jan. 1, at 12:33 a.m. EST. Follow New Horizons to Ultima Thule at http://pluto.jhuapl.edu/Mission/Where-is-New-Horizons.php. Hard to believe that Hubble will be dead in the near future. But even worse, is the fact that future great space telescopes will suffer the exact same flaws. Look at all of the failures of scopes and other expensive sats. It is generally, not the primary instruments that fail. Generally, they are good to go for a long time. Oddly, it is rarely lack of fuel. Instead, most have died due to position gyros going out. There is an easy solution for this. Separate the sats into 2-3 main sections that are docked with each other. The back-end, should be the Utility section that contains the engines, positioning gyros, navigation, small back-up comm-link, back-up solar with batteries, & ideally, spare CPU/storage. The payload would then go into 1-2 sections. For scopes, it is probably best to have 2 sections, with the upfront with optics, sensor, etc. , while the mid section holds the real solar panels, batteries, CPU, storage, possibly cooling pumps, etc. Regardless, by separating the payload from the common items that will die and destroy missions, will allow simple replacement of the utility section, and ideally, with one that is better than the original. For expensive missions, such as the hubble and future ones, will enable them to extend for much longer than what we see.